Have a girl's day with your mini in the Kenzo Kids™ Printed Ruffle Short Sleeve Dress. Relaxed fit with A-line silhouette. Princess seams with front pleat detail. Product measurements were taken using size 8A (8 Big Kids). Please note that measurements may vary by size. 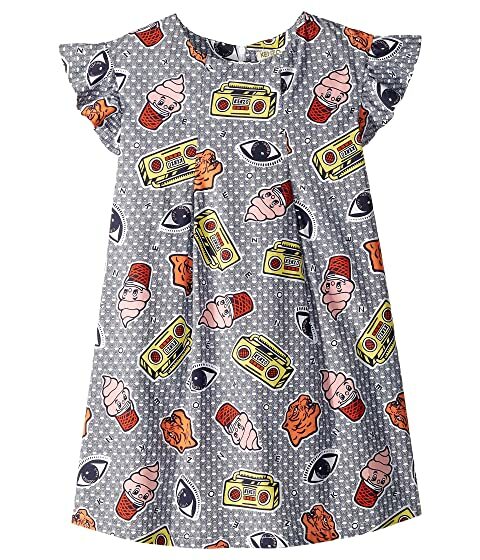 We can't currently find any similar items for the Printed Ruffle Short Sleeve Dress (Big Kids) by Kenzo Kids. Sorry!